Troüpe is an AI platform that is creating meaningful people to people connections. 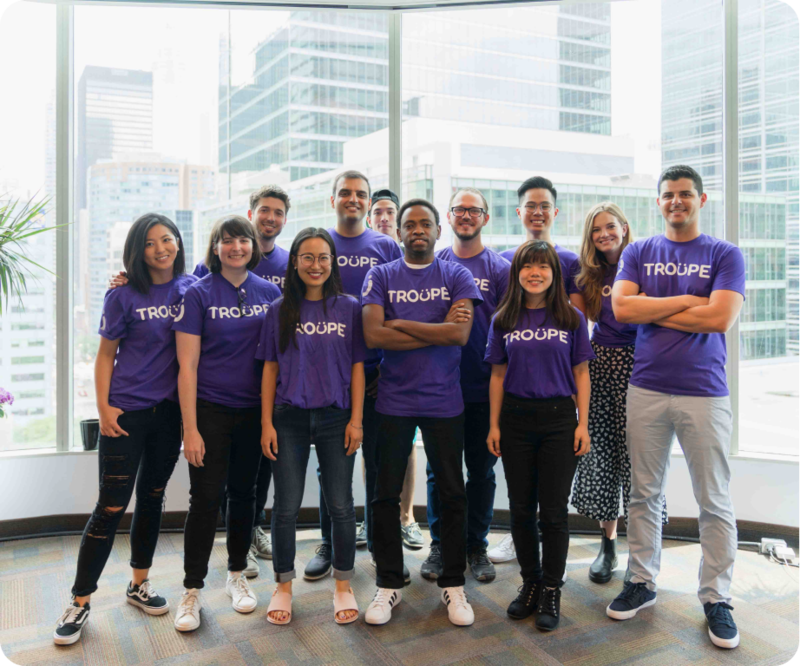 With Troüpe's Enterprise solution employers can empower a culture of collaboration, mentoring, up-skilling, and cross-skilling both inside the office as well as outside. Connect your employees as they commute to work, from work, and at work. Troüpe's Event solutions allows event organizers to give control to in their attendees hands. Networking at events has never been easier add networking to and from the event into the mix and see your engagement metrics shine! Is your Carsharing or Ridesharing really differentiated in the market? Troüpe's AI-as-a-Service product helps mobility solutions truly differentiate themselves from others in the market by personalizing the ride experience. Our team is passionate. about the solutions we are building. We are Troüpers at heart and are working away to facilitate serendipity around the world.